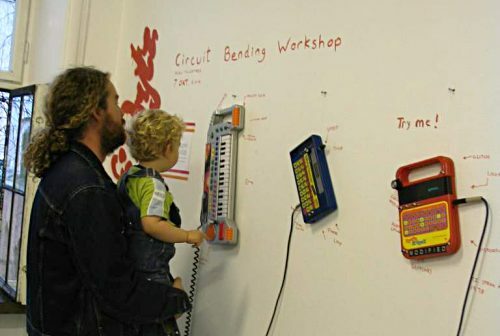 Niall of MagpieIndustries send me images and video of a recent circuit bending workshop held in Sweden. Looks like a great turn out with lots of parts scattered around the work area. 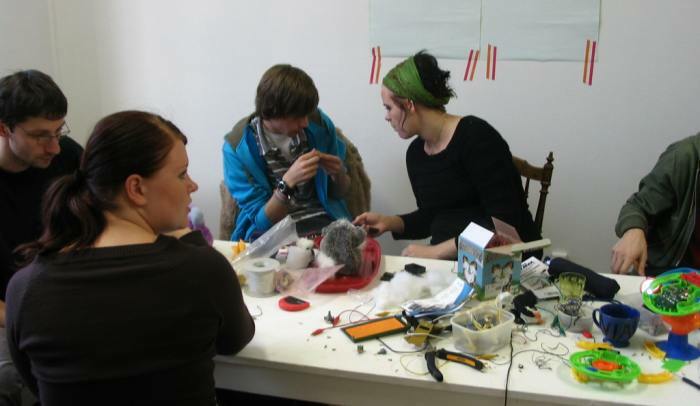 I am assured that there will be more workshops planned for the future with no dates as of yet. And to boot a Swedish TV station is showing interest in doing a story about the event. Excellent work in educating the public about the scene.